Amethyst Homes is a home builder based in the North East of England. 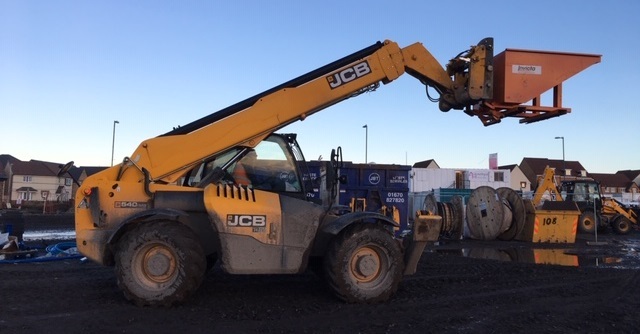 We were approached by Kevin Brookbanks, buyer at Amethyst Homes, with a requirement for several new forklift skip attachments for their development in Consett. The site had historically used traditional self-tipping skips to handle and dispose of waste materials. However, following a discussion with our specialists, Kevin decided to trial Invicta’s Auto-Lok Tipping Skip. The Auto-Lok Tipping Skip has been specifically designed to evolve site waste operations, in both scale and efficiency. The skip’s auto-mechanism locks itself to the forks of the truck or telescopic-handler, meaning the driver can remain in the safety of his cab throughout the process. 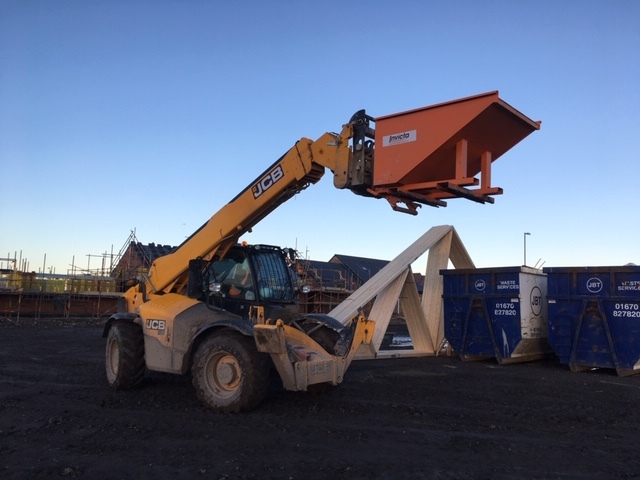 This mechanism reduces risk and increases the efficiency of numerous on-site operations, including the common practice of telehandlers feeding 40-yard master skips with assorted waste. Do you want to speed up waste disposal processes on site? Talk to us today about finding the right forklift skip attachments for your operation.